In the name of Allāh, all praise belongs to Allāh, and may His peace and blessings be upon His final Messenger, his family and his companions. Indeed, all praises are due to the Allāh ﷻ who granted His humble servants the permission to rewrite history once again, in a series of undefeated electoral, political and military victories over the past decade and half. I would like to take this opportunity to congratulate the figures involved in these successive victories: President Recep Tayyip Erdogan; the chairman of the AK Party Prime Minister Binali Yildrim; the campaigners; the people of Turkey and the Muslim Ummah as a whole. In an unofficial reporting of the electoral results, the Turkish citizens have agreed to pass the amendments in the constitution. Though initial results showed a significant majority of 63% for the ‘Yes’ vote, when a quarter of the votes were counted, with 100% of the votes counted, 51.4% of the citizens have chosen to declare ‘Yes’ to the constitutional amendments. ‘My enemy’s enemy is my friend’? Yet, the Turkish citizens living in Europe sent a strong message to the world by voting ‘Yes’. The Netherlands, which saw some Government Officials advocating a militarised crackdown,  in the name of so-called ‘security concerns’ against Turkish diplomats just for trying to reach out to Turkish-Dutch citizens were given an unforgettable lesson. Upto 71% of the Turkish-Dutch electorate voted ‘Yes’ in this historic referendum. Whilst of course the fanciful concept of ‘freedom of speech and expression’ in Europe did not extend to members of one of its largest minorities and their political representatives, wild Islamophobic remarks by Geert Wilders and other Islamophobes were commonplace, suggesting that ‘Yes’ voters should return to Turkey. I often smirk at the irony of second-rate politicians, dejected by their own polls, clobbered by the success of the very communities they routinely demonise. The score is 2-0 to the Dutch-Turks. Many in the international arena seem to question the validity of the mandate, yet they comfortably ignore the voter turnout at 85.46%—millions more than the 72.2% turnout in the UK’s EU Referendum. Percentages aside, that translates into 10 million more votes mandating the ‘Yes‘ constitutional change than those mandating Brexit. And unless there is an inherent belief in the racial superiority of the British vote, the result must compel proportional respect. It is a shame a handful of sensationalist “journalists” believe they know better. 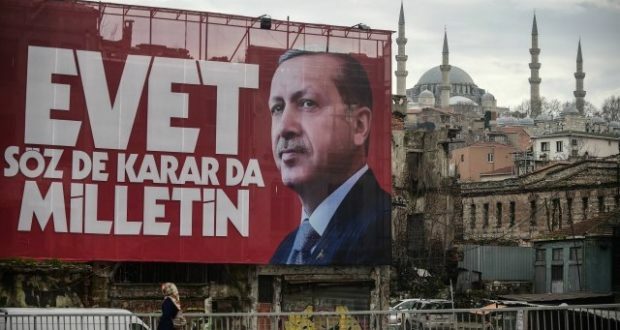 A day later, the Organization for Security and Co-operation in Europe (OSCE) claimed that “lack of equal opportunities, one-sided media coverage and limitations on fundamental freedoms” in the Turkey’s 16th of April Referendum had caused an “unlevel playing field”. Let us ignore for a moment that it was in fact the ‘No’ campaign that was systematically favoured by international media outlets, whose talking points were recited as facts whilst the ‘Yes’ campaign was literally banned from many countries. But should we also forget the near £10m of tax-payer-funded government pamphlets advocating Bremain  now lining Britain’s bird cages? Or how four newspapers control 71% of the UK national newspaper market ; right-wing media that mainly formed the Brexit narrative, hailing it a ‘victory for democracy’? 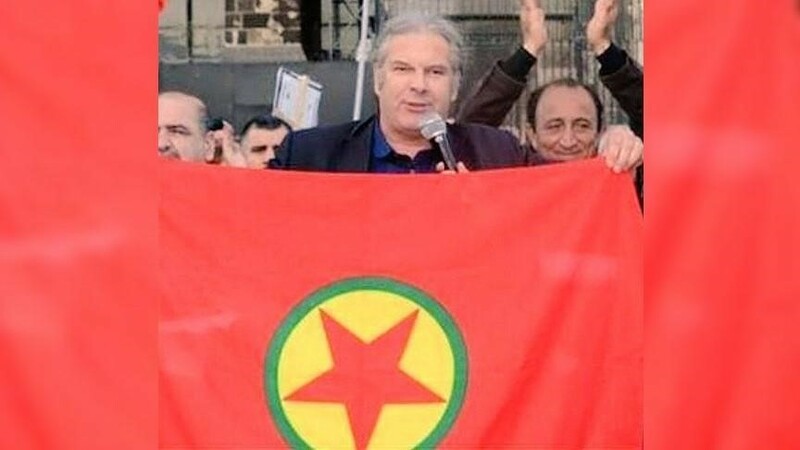 As for the OSCE, one of the ‘independent’ German observers was pictured with a PKK flag despite the EU formally considering the PKK a terrorist organisation. The Turkish Government has since rejected the OSCE report, dubbing it as politically motivated  . It is worth noting that Turkey was not as successful as it is now. In fact, before the AK Party came to power in 2002, with the leadership of Erdogan, the country was in economic crisis which followed the 2001 financial crash. Since then, Erdogan and the AK Party have not lost a single major election. Such consistency is not born of blind-love, especially a from a nation recently hammered with radical secularism and Islamophobia under Kemal Ataturk. But it is rather due to the many high achievements that the Turks have seen from this party and its leadership. These achievements come in many forms, including but not limited to: political stability, economic recovery and prosperity, military victories, increased independence, adherence to Islamic values and traditions, diplomatic pride in the international arena, among many other forms of material and immaterial success. It is a leadership dedicated to responsibility that the role requires, offering clarity of vision and helping others at the expense of their own, whilst fearing Allāh ﷻ. The Turks simply find no better alternative. If other world leaders took lessons as oppose to digs, their political campaigns would be all the easier. We ask Allāh ﷻ that He guides this Muslim Ummah to that which pleases Him, to unite them in goodness, grant them successive victories that will make the word of Allāh ﷻ the highest. Upon Allāh ﷻ do we rely in all our matters. A. Hammuda, “Europe’s Problem with Turkey,” [Online]. Available: https://www.islam21c.com/politics/europes-problem-with-turkey/. 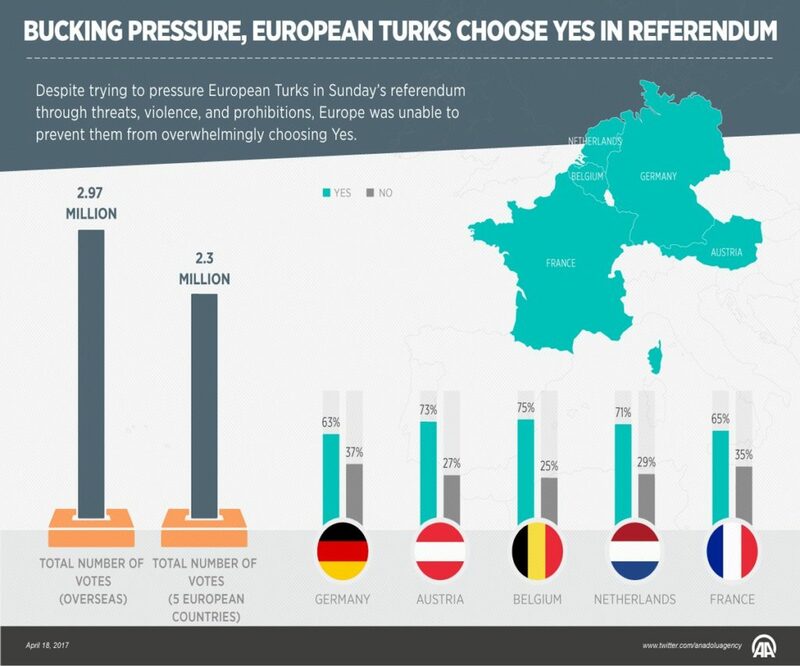 Anadolu Agency, “Bucking pressure, European Turks choose ‘YES’ in referendum – infographic – Anadolu Agency,” 18 April 2017. [Online]. Available: http://aa.com.tr/en/info/infographic/5673. [Accessed 18 April 2017]. A. Asiran, “Dutch police ‘permitted to shoot’, Rotterdam mayor says,” 14 March 2017. [Online]. Available: http://aa.com.tr/en/europe/dutch-police-permitted-to-shoot-rotterdam-mayor-says/771290. [Accessed 18 April 2017]. E. Avundukluoglu, “‘We won’t consider OSCE report on referendum’,” 17 April 2017. [Online]. Available: http://aa.com.tr/en/europe/we-wont-consider-osce-report-on-referendum-erdogan/799181. [Accessed 18 April 2017]. Peter Dominiczak, “EU referendum: £9m cost of taxpayer-funded leaflet warning about the ‘damage’ of Brexit angers Eurosceptics,” April 2016. [Online]. Available: http://www.telegraph.co.uk/news/2016/04/06/eu-referendum-taxpayers-to-fund9m-leaflet-to-every-home-warning/. [Accessed 19 April 2017]. Mark Sweney, “UK media plurality threatened by dominant group of large firms – report,” 21 October 2015. [Online]. Available: https://www.theguardian.com/media/2015/oct/21/uk-media-plurality-threatened-by-dominant-group-of-large-firms-report. [Accessed 19 April 2017]. E. Avundukluoglu, “Turkish FM slams election observer for holding PKK flag,” 18 April 2017. [Online]. Available: http://aa.com.tr/en/europe/turkish-fm-slams-election-observer-for-holding-pkk-flag/799673. [Accessed 18 April 2017]. M. Yeneroglu, “Turkey awaits apology for biased European body observer,” 18 April 2017. [Online]. Available: http://aa.com.tr/en/europe/turkey-awaits-apology-for-biased-european-body-observer/799871. [Accessed 18 April 2017]. Patrick Kingsley, “Abdel Fatah al-Sisi won 96.1% of vote in Egypt presidential election, say officials,” 4 June 2014. [Online]. Available: https://www.theguardian.com/world/2014/jun/03/abdel-fatah-al-sisi-presidential-election-vote-egypt. [Accessed 19 April 2017]. Hisham Saleh, “The chances and opportunities of the chancellor’s visit to Egypt,” 2 March 2017. [Online]. Available: http://www.dailynewsegypt.com/2017/03/02/616880/. [Accessed 19 April 2017]. M. Ozturk, “Turks to change coup constitution, says prime minister,” 14 February 2017. [Online]. Available: http://aa.com.tr/en/politics/turks-to-change-coup-constitution-says-prime-minister/750122. [Accessed 18 April 2017]. Anadolu Agency, “200-year administrative system conflict solved: Erdogan,” 16 April 2017. [Online]. Available: http://aa.com.tr/en/politics/200-year-administrative-system-conflict-solved-erdogan/798386. [Accessed 18 April 2017]. 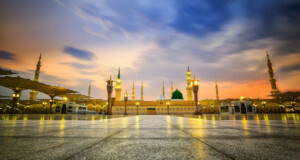 “Hadith – The Comprehensive Book – Bulugh al-Maram – Sunnah.com – Sayings and Teachings of Prophet Muhammad (صلى الله عليه و سلم) – Related by Muslim,” [Online]. Available: https://sunnah.com/urn/2117740. [Accessed 19 April 2017]. aNEWS, “President Erdoğan made victory speech after referendum results – anews,” 16 April 2017. [Online]. Available: http://www.anews.com.tr/webtv/turkey/president-erdogan-made-victory-speech-after-referendum-results. [Accessed 18 April 2017]. I would have to disagree with Dr Sheikh Haddad with his opinion on the dictator Erdogan and the result of Turkey’s referendum. However its nothing new as i disagree with our learned Dr on a number of issues, from FGM to death for homosexuals and apostates. I think its a bad thing that Turkey has voted to give this Erdogan more power. A lot of people like going to Turkey for a beach hoiday which will be now off limits. Erdogan will slowly but surely introduce all the evil and barbaric sharia laws that plague the Islamic world. Dr Haddad might like Erdogan and all the evils that come with extremist muslim dictators but Dr believe me, a lot of the rest of the world do not and will resisit Erdogan and his sort. The Attaturk Kemal had a vision to modernise Turkey and give its people a good place in the world amongst other freedom loving nations. Everything that Attaturk and the freedom loving Turks worked for, Erdogan has or will destroy. I ask Dr Haddad openly that if he feels “allah” has granted this victory to Erdogan that why does he not go and live under Erdogan and his murderous rule in Turkey? 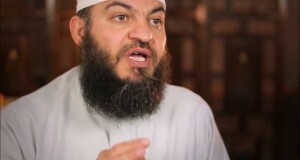 Surely Allah would be pleased with Dr Haddad if he moved and lived in Turkey under one of Allah’s favoured leaders? Lets see if Dr Haddad put’s his money where his mouth is and moves to Turkey or is he just good for talking and would prefer to live here in the UK under the evil Kufr leaders. i hope Turkey does not go the way of other extremist muslim countries and become a failed state. There is a glimmer of hope as around 49% of Turks voted ‘no’ and lets hope they continue their struggle and rid Turkey of this evil Islamic fundamentalist Erdogan. Jack, you don’t know jack! You’re full of BS so go to a different website to troll. Unfortunately your article confirms what we all know, that muslim majority countries love nothing more than a strong-leader/dictator who cuts through the will of the people to rule by unwavering force. You (rightly) criticise Assad in Syria for his horrible actions against his own people, yet he and Erdogan are cut from exactly the same cloth. Erdogan will clng to power at all costs, (he has already ensureed he will rule for another 12 years). Both men, love to silence legitimate press/opposition, both men torture and crush any opposition. And be assured that as soon as the Turkish oppostion rises up on the streets, innocent Turkish/Muslim blood will be split! But as long as he is a ‘Sunni’ then it’s OK.
Erdogan is not an Angel but to compare him to Bashaar like that….I’m lost for words. I’m not saying that right now he is as murderous and violent as Assad, of course not. But can’t you see that when megalomaniac men get power in Muslim majority countries, the outcome is very often the same. History has all the evidence we need to suggest there could be serious unrest in Turkey if he clings to power, which he will. It’s what he has been doing already for the past few years. He is silencing opposition, locking up journalists. Why? For the good of the people? Or himself and his cronies. The answer is obvious. That is what Assad, Sadam Hussain, Gaddafi all did, this is the start…..
Dictators are not born of democratic process. It is the whole point of having elections David. The moment Turks do not want Erdogan, they will vote him out. But what are you saying, that we give them someone other than who they voted for? Surely that is the definition cutting through the will of the people? No? Be quiet with your BS you sore loser. You cannot be serious to compare Erdogan with Bashar. Bashar killed over half a million of his people. Erdogan enjoys the support of over half the population. and this referendum is an evidence for him and not against him actually! The new constitutional amendments make the currently ‘unaccountable president’ (according to the constitution), accountable to parliament and the judiciary. and there are many more things that could be said. Silencing legitimate press/opposition? Torture? Authoritarian rule? Sounds like Europe and US to me. With these supposed qualifications it’s a wonder turkey hasn’t been allowed into the EU yet. Top bloke that Erdogan chap. Excellent Website Islam21c. I gave up wasting my time with mainstream nonsense gossip and innuendo 5 years ago. I felt very liberated as a result. 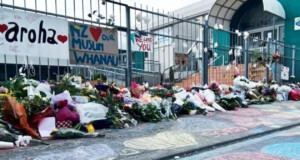 I would encourage all Muslims not to waste their time with mainstream western press (they sit in some small closed narrow circles and get themselves radicalised on nonsense gossip & innuendo). I am sure if the western press say something useful then Islam21c will publish it here and we can read it. I am happy to recommend: (i) Islam21 century (ii) Al Jazeera English TV channel/ website (iii) Muslim News newspaper. Dear Muslims – Please make a donation to Islam21c and support the noble work that is being done. God bless you. You are at the forefront of promoting civilisation, a peaceful & prosperous world…. Islam is the solution.